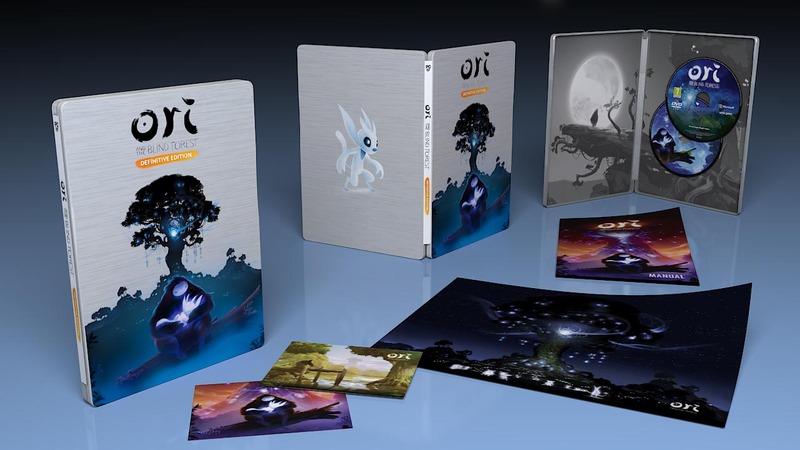 The critically-acclaimed 2D platformer from developer Moon Studios, Ori and the Blind Forest, is to get an official retail release. Nordic Games have today announced that they will be distributing the Definitive Edition of the game to retail in both North America & Europe on June 14. Below is a shot of what the physical edition will look like, along with the added extras that come bundled. The retail release will come in two versions: a regular form of the Definitive Edition — which includes premium packaging, a quickstart guide, game DVD and A3 Poster — as well as a new Limited Edition which also includes a steelbook, a copy of the game’s soundtrack, two postcards and two double-sided A3 posters. The Definitive Edition will also be made available for Xbox One the same day.